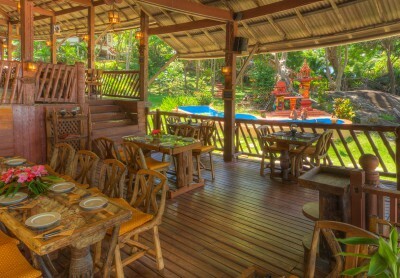 Thum’s restaurant is an important part of our resort. Thum and her family try to make our guests familiar with the wide range of thai dishes. We do not exaggerate by saying that Khanom Hill Restaurant is the best restaurant in Khanom. The dishes you will find in our menu are from all over Thailand and of course we also offer a few european dishes, in case you would like something you are used to. 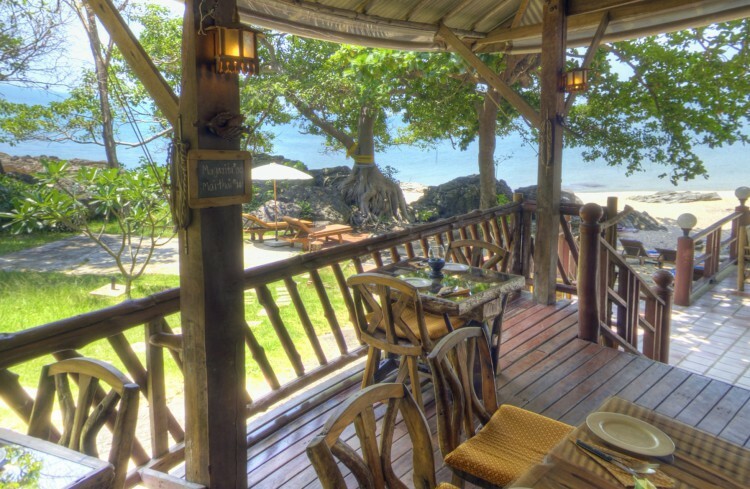 The restaurant is furnished nicely and distributed across 3 levels, one of them right next to the beach. During the evening the light of our oil lamps on each of the tables create a romantic atmosphere. We are sure our menu will make your mouth watering.